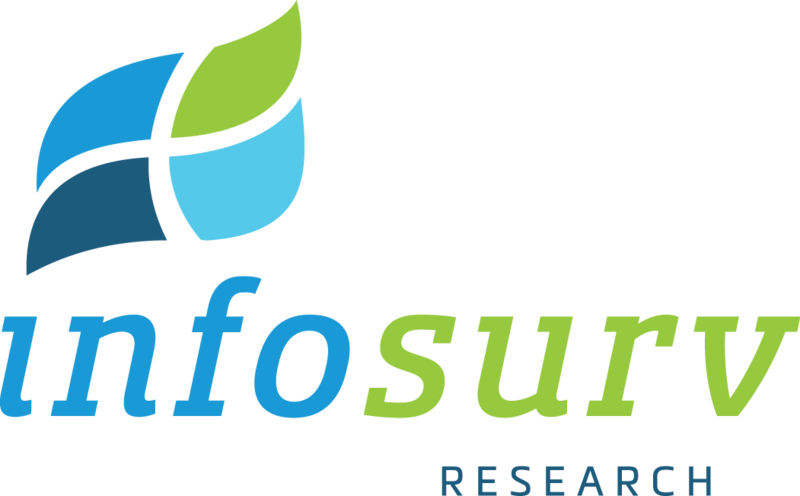 Infosurv is a pioneer in the field of prediction markets for concept testing and concept screening. In 2008, we launched the Infosurv Concept Exchange (iCE) and have since utilized our methodology to test a wide array of consumer product and services concepts in a variety of industries. Late in 2013, to give our prediction market clients more focused attention, we renamed our prediction market business — Intengo — and we renamed our products: Intengo prediction markets. For an in-depth look at how our Intengo prediction markets help businesses test smarter and think bigger, visit www.gointengo.com. Or you may contact us using the form at right. Diversity of Opinion: Each person should have private information even if it’s just an eccentric interpretation of the known facts. Our prediction markets accomplish this by recruiting respondents from a wide range of demographic and behavioral segments of the general population. Independence: People’s opinions aren’t determined by the opinions of those around them. To accomplish this, we offer our respondents (or “traders”) the ability to earn bonus incentives for accurate predictions. This “skin in the game” encourages independent judgments based on the known facts. Decentralization: People are able to specialize and draw on local knowledge. Our traders come from all regions of the target market and have diverse demographic and behavioral profiles. Aggregation: Some mechanism exists for turning private judgments into a collective decision. This is our platform, the first prediction market of its kind designed specifically for marketing research. Our years of research have also led us to a fifth requirement for crowd wisdom when applied to marketing research: perspective. This is particularly important in cross-sectional prediction market designs, like our prediction markets. What this means is that traders must have a contextual understanding of the product category or target consumer in order to participate. By requiring trader perspective, cross-sectional designs more closely mirror some of the famous prediction market examples like the Iowa Electronic Markets, BetFair, and the Hollywood Stock Exchange by only including participants who feel they have something to gain by making predictions regarding the target subject matter. So, How Do Marketing Research Prediction Markets Work? Our patented, virtual online stock market gives participants free virtual dollars to buy “shares” in the products, packages, logos, or advertisements that our clients wish to test. Just like in real world markets, share prices fluctuate based on supply and demand. By observing how share prices move over time, we can make very accurate predictions regarding the real world success of the concepts being tested. To learn more about the academic and commercial research backing the power of prediction markets, please read our white paper Prediction Markets for Concept Testing. What are the benefits of using Intengo prediction markets for concept testing? Cost savings – Costs are lower with our prediction markets than traditional concept tests for several reasons. For one, a “general population” sample can be used for most of our prediction markets which reduces sampling costs dramatically, especially for products targeted at low-incidence consumer groups. Secondly, our prediction markets require much less time and effort to setup, field, and analyze. Thirdly, our prediction markets require a lower sample size than surveys. Speed – It can take up to 4-6 weeks to design, field, and analyze a traditional concept test. Turn-around time on our concept tests is much less – just 1 week from project kick-off to presentation of final results. Our projects are completed more quickly due to ease of setup, respondent recruitment, and data analysis. Accuracy – Prediction markets have been shown to be more accurate at predicting future outcomes than surveys, polls, or individual experts. Our prediction markets have been validated by our clients against traditional concept testing surveys with excellent results. Better respondent engagement – Our prediction market traders view participating in the market as a fun, entertaining game with both intrinsic and extrinsic rewards. Since traders can earn additional incentives by betting on correct outcomes, they have ample motivation to remain engaged in the process. Diagnostics – Our prediction market traders are given a mechanism for explaining why they buy shares in certain concepts, allowing clients to collect qualitative feedback for diagnostic purposes. This feedback can be used to explain the behavior of the prediction market and help the client refine current concepts and create additional concepts for testing. Benchmarking – Because our prediction market results show the relative probability of success of the various concepts tested, it’s easy to benchmark new concepts against “control” concepts that are already in-market. These controls may include the client’s own products or competitors’ products. Vice President Market Research at Combe, Inc.
How are your participants recruited? Our prediction market respondents are recruited just like survey respondents. We use access panels to recruit a representative sample of “general population” consumers to participate in every prediction market. Though technically we may target specific demographic subgroups, it’s usually not necessary (see next section below.) If a client wishes to use their own customers or employees as prediction market respondents we can do that as well. Why don’t respondents need to be in my target market? How do you protect the security of the concepts that we test? Digital NDA — All prediction market traders must sign a digital NDA (Non-Disclosure Agreement) legally prohibiting them from sharing the concepts they see with any third party. Download Prevention — We have technical measures in place to prevent our traders from downloading or copying any concept images or descriptions. Attempts to do so result in immediate termination from the study. Digital Watermark — All concept images are imprinted with a digital watermark, unique to each trader, that would allow us to trace any shared images back to an individual trader’s identity. If you interested in learning more about our approach, please contact us using the form on the right side of this page or call us now at 855.844.3172.